The U.S. Navy’s first shallow-water littoral combat ship (LCS) is schedule to depart from San Diego for its new home in Singapore on Friday, providing one of the Pentagon’s most visible signs to date that the “pivot” toward Asia is underway. The Department of Foreign Affairs of the Republic of the Philippines presents its compliments to the Embassy of the People's Republic of China and, with respect to the dispute with China over the maritime jurisdiction of the Philippines in the West Philippine Sea, the Government of the Philippines has the honor to submit the attached Notification under Article 287 an Annex VII of the 1982 United Nations Convention on the Law of the Sea (UNCLOS) and the Statement of Claim on which the Notification is based, in order to initiate arbitral proceedings to clearly establish the sovereign right and jurisdiction of the Philippines over its maritime entitlements in the West Philippine Sea. Everyone is afraid of China. One reason is an instinctive reflex to avoid anything enormous moving at great speed. But even more important is that China's true intent can't be gauged. Is China a threat to the world order, or at least to its region? Is it a rival to the U.S. or an enemy? Should it be balanced or contained? Or should China be envied and admired for its achievements in accruing wealth and power? Ties between China and Japan have been repeatedly strained by a territorial row over a group of islands, known as the Senkaku islands in Japan and the Diaoyu islands in China. 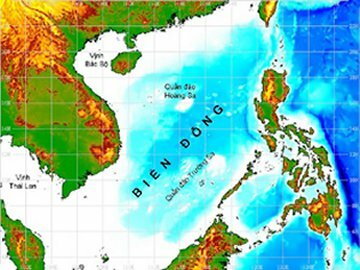 (BDN) - In 2012, Beijing intensified its illegal activities that seriously violated Viet Nam’s sovereignty in the East Sea. Those activities not only caused Vietnamese peoples’ indignation but condemned by the whole world as well. Ha Noi also showed its determination, both in diplomatic and public front, over Beijing’s expansionist policy. 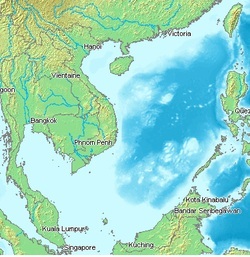 According to the figure of the editorial board of the biendong.net, in 2012, the spokesman of the Ministry of Foreign Affairs of Viet Nam had 26 interviews on the South China Sea issue. JAKARTA: ASEAN's new Secretary-General says one of his top tasks will be to finalise the Code of Conduct on the South China Sea. Le Luong Minh, a veteran Vietnamese diplomat, said this in opening remarks after assuming the post as head of the regional grouping on Wednesday. Chinese authorities’ reported plan to board and search ships that "illegally" enter the South China Sea, which includes the West Philippine Sea, is a “direct threat” to all countries, the Department of Foreign Affairs said Saturday. As expected, the dispute over the South China Sea was the most contentious issue at this week’s ASEAN meeting and East Asia Summit. Within a few days the 21st ASEAN Summit and 7th East Asia Summit (Nov.15-18) would take place in Cambodia which would be attended by US, Russian and Indian leaders among others. MANILA - In a move that promises to raise regional tensions, China recently stepped up construction work in contested territories in the South China Sea.